Automating the print process is everybody’s ideal, no longer having to manually load and handle boards and print panels. 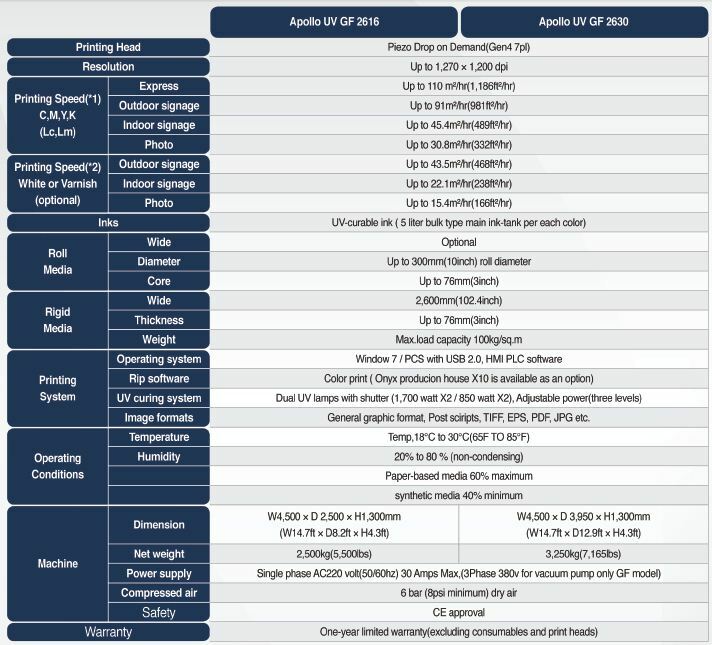 The GF260 is a one stop solution, automatic loading with an optional board feeder and printing consecutive sheets. Following the same proven modular design and stability of the X7 cutting table, the GF260 provides a solid and ergonomically designed platform for your production needs. 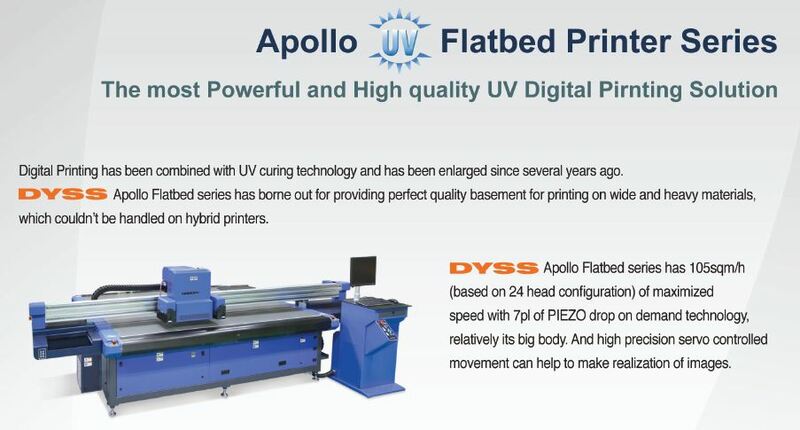 The Apollo Hybrid design provides a compact and versatile printer in a range of different widths to suit all needs. The precision indexed belt drive system combined with many years of practical experience in digital printing have led to an easy to use and extremely well thought out printing system. 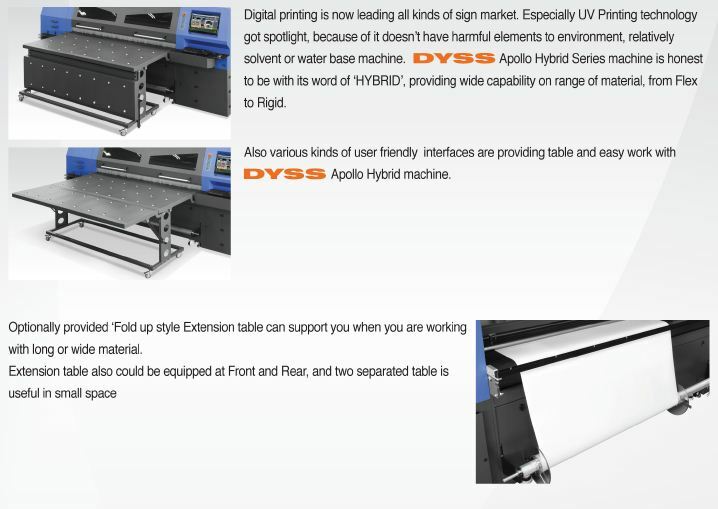 Call 0408 363 932 for additional information on DYSS UV Printers and Cutting Production Systems.